Khabenskiy.com 2nd Birthday. Konstantin Khabenskiy’s fans worlwide. Www.Khabenskiy.com International Web-site informing about creative and social activities of an actor, director and public figure Konstantin Khabenskiy celebrates it’s 2nd Birthday. Started on September, 25th, 2016 as an information Web-site later on it became an informational duplex including www.khabenkiy.ru — popular and focusing on Russian-speaking audience. 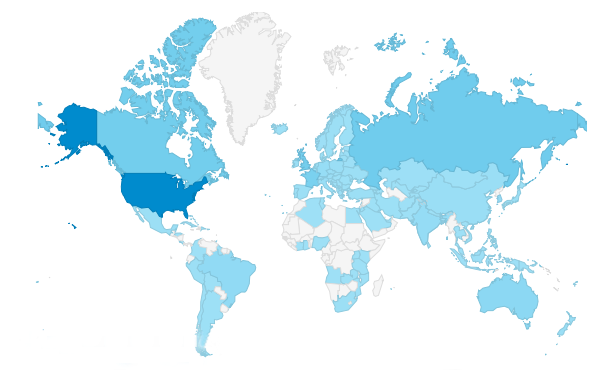 For the last year guests from 118 countries have visited www.khabenskiy.com. All Khabenskiy’s fans from the United States, the United Kingdom, Canada, South Korea, Turkey, Belgium, Belarus, India, Malaysia, Sweden, Australia, Brazil, Czechia, Denmark, Croatia, Hungary, Indonesia, Ireland, Italy, Netherlands, Peru, Philippines, Portugal, South Africa, Zambia, Vietnam, Uzbekistan, United Arab Emirates, Ukraine, Uganda, Tunisia, Trinidad&Tobago, Thailand, Tanzania, Tajikistan, Taiwan, Switzerland, Sweden, St.Vincent&Grenadines, Sri Lanka, Spain, Slovenia, Slovakia, Singapore, Serbia, Saudi Arabia, Russia, Romania, Reunion, Puerto Rico, Portugal, Poland, Philippines, Peru, Papua New Guinea, Palestine, Pakistan, Norway, Nigeria, New Zealand, Nepal, Mozambique, Montenegro, Mongolia, Moldova, Mexico, Malta, Macedonia (FYROM), Luxembourg, Lithuania, Liechtenstein, Lebanon, Latvia, Kyrgyzstan, Kuwait, Kosovo, Kenya, Kazakhstan, Jordan, Japan, Israel, Ireland, Iraq, Iran, Indonesia, India, Iceland, Hungary, Hong Kong, Honduras, Guyana, Greece, Ghana, Germany, Georgia, France, Finland, Fiji, Estonia, Egypt, Dominican Republic, Denmark, Cyprus, Curacao, Cuba, Croatia, Cote d’Ivoire, Costa Rica, Colombia, China, Chile, Canada, Bulgaria, Brazil, Bosnia&Herzegovina, Bolivia, Bermuda, Belize, Barbados, Bangladesh, Bahamas, Azerbaijan, Austria, Aruba, Armenia, Argentina, Angola, Algeria, Albania, Afghanistan are interested In creative live of Konstantin. Our congratulations for www.khabenskiy.com, we will do our best for promoting the creative and social activities of Konstantin Khabenskiy worldwide.